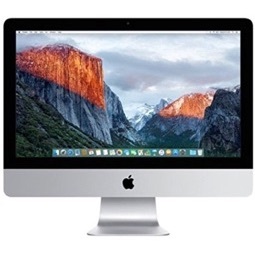 Apple’s service document acknowledges some 27-inch iMacs shipped between December 2012 and July 2014 may be affected by an issue with the display hinge, resulting in the screen no longer adjusting and continuously tilting forward. The issue appears to be limited to late 2012 and late 2013 models in particular. Unlike some of Apple’s other Exchange and Repair Extension Programs listed on its website, the details of this program have not been made publicly available. Apple has instead sent internal communication to Apple Authorized Service Providers with information about repairs and refunds. Note the two red arrows. These point to the inner mounting points of the tension springs. The one on the left has broken lose, the one on the right is good. 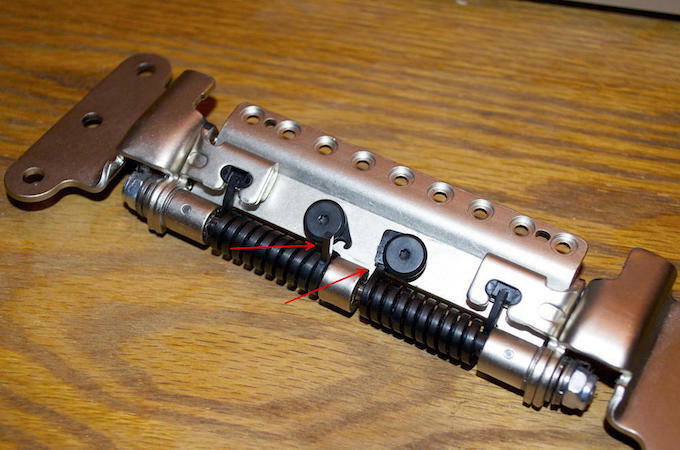 The inner ends of the springs are held in place by plastic washers and one failed.